COMET & CHARGE! November #PhellasGiveAway! For the best in cult classic films, look no further than Comet TV! If you’re looking to Rage, there’s The Rage: Carrie 2 to fire up your night, or how about horror master Clive Barker’s Lord of Illusions? If you’re looking for some family fun break out the boom box and head down to Mcy’D’z because we have Mac & Me! 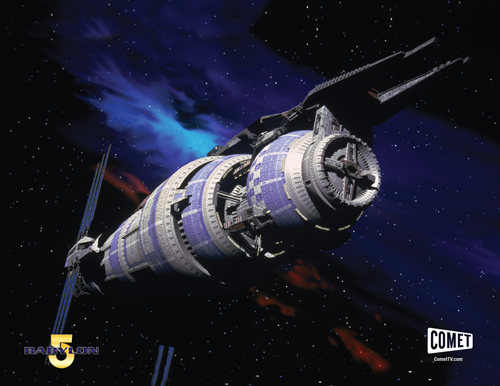 COMET TV continues to be the home of the sci-fi classic Babylon 5 which airs every day at Noon/11 C and every night at 9/8 C! 1 – COMET TV Flash Gordon Clamshell Pack: If you’re getting ready to check out the original Flash Gordon serials, this clamshell pack, stuffed with binge worthy popcorn will make even the Ming Merciless’ diabolical plans seem like fun. The COMET TV and CHARGE! November #PhellasGiveAway Prize Pack is perfect for binging some classic films and TV Shows! All you have to do is subscribe to our YouTube channel, LIKE/Share this post on social media, and use #PhellasGiveAway. We will pick one random winner (U.S. Residents ONLY) on December 6th! Follow on YouTube and Liked/Shared on Google+.